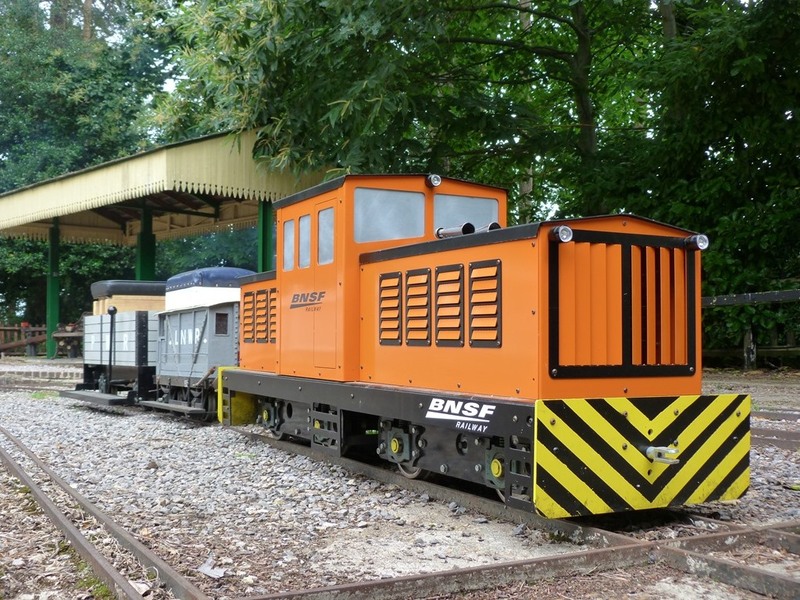 The Titan 7 is a freelance Bo-Bo diesel shunter with the four wheels of each bogie being chain driven by a 750 Watt 24 Volt electric motor, giving a total power output equivalent to two horsepower. It is fitted with a sound system to replicate the sounds of a full size locomotive and finished in a livery based on 'Gulf-Oil' sponsored race cars. The locomotive was purchased by the Society as a kit from Phoenix Locomotives as part of our Junior Engineers training programme. It was built by them, under supervision from our more experienced builders, enabling them to learn more about key locomotive components and gaining skills in mechanical assembly, electrical systems and wiring. You can read about the Pinewood Junior Engineers and the Titan's construction by clicking here.